Hey beautiful people visiting my blog. Cannot believe Ramadan is coming to an end. I swear time is flying up. So I wanted to do a quick blog post and video on Laser Hair Removal as so many of you keep asking me if I would recommend it, my opinion on it and if I know any places. Well.. You guys know me by now and I don't like to give my opinion on a certain topic or product until I have researched enough or experienced it. I wanted to talk about it once I'd had most of my treatments if not all. And just for the record this blog post and video are NOT sponsored. So I have always been so skeptical about laser hair removal and was always scared of having it done because people would say all sorts. I still wouldn't get it done from any other beauty salon who just has a staff member who knows how to use a machine. 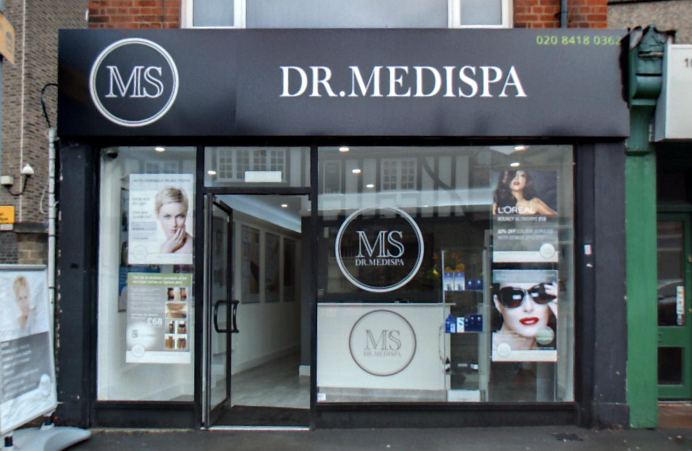 I wanted to go to someone who has clinical knowledge and expertise, and one day I just came across Dr Medi Spa. I found out about Dr Medi Spa at an Asian Exhibition and thought I would email them in regards to a consultation/patch test and I am so glad I did !! Not only did I notice results after the first treatment, but I have built a good relationship with the beautiful Henal who just made me feel super comfortable from the first day! I am quite shy, but it's been such a pleasure to have my treatments done with Dr Medi Spa as they really know how to treat their customers. They are friendly, hospitable and EXTREMELY professional! I would really recommend this place to anyone in London or around London looking to get laser hair removal done. The prices are amazing, they give you all the relevant information and knowledge, give you 100% service and if you have any problems you know you can always contact them in regards to any questions or concerns. I'd give them 10/10 for everything! !